No need to bypass all the health perks of fresh superfoods this winter—simply grow them inside on a sunny window ledge. As the weather turns colder, now more than ever it is important to fortify the body with nutrient dense foods. What better way than with unprocessed superfoods? An economical and fun undertaking, cultivating a micro-superfood garden is easier than you may think. With food costs skyrocketing this season, consumers are looking for novel ways to stay nourished on a budget. Windowsill gardens combine the virtues of space saving French intensive gardening with easy to grow plants—providing a frugal solution for high food prices. Effortless to grow, these four superfoods are perfect for an indoor garden. Simply utilize the French intensive technique of ultra-rich composted soil, compact planting and consistent harvesting and you are good to go. Sometimes referred to as rocket, arugula is a mildly spicy, fast growing superfood. An exceptional source of vitamins A, C and K, this green helps to protect against skin, lung and oral cancer along with Alzheimer's disease. High in B vitamins, arugula will boost energy and calm the nervous system. Additionally, arugula contains diindolylmethane (DIM), a compound that discourages the human papillomavirus (HPV) and cervical dysplasia. Arugula is teeming with copper, iron, phytonutrients, chlorophyll and fiber too. Cilantro is an exceptional herb that controls blood sugar, detoxifies heavy metals and possesses strong antibacterial properties. Research has shown that diabetics can benefit from cilantro consumption since it helps to increase the secretion of insulin and lowers blood sugar levels. As a mighty detoxifier, cilantro removes heavy metals like mercury by binding to the toxin and escorting it safely from the body. Cilantro is a prime source of dodecenal, a potent antibacterial agent. Scientists discovered that dodecenal was more effective in combating salmonella food poisoning than the commonly used antibiotic gentamicin. This tasty herb also eases hormonal mood swings, urinary tract infections, arthritis, liver complaints and digestive upset. The great Greek philosopher Hippocrates used oregano for its germicidal qualities and as an tonic for digestive upset. Science has proven what Hippocrates intuitively sensed—oregano contains powerful bioactive compounds that ward off infections, parasites and inflammation. Mexican researchers found that consuming oregano is effective against the parasitic infection giardia. Topically, it relieves cold sores and acne. Oregano is antioxidant rich—ounce for ounce, it contains 42 times the antioxidants of apples, 12 times more than oranges and four times more than blueberries. Also loaded with vitamin K, iron, manganese and fiber, oregano is one of the healthiest foods you can eat. Ancient Persians and Romans recognized the exceptional benefits of watercress and harnessed its healing properties to enhance brain function, soothe the nervous system and even boost libido. 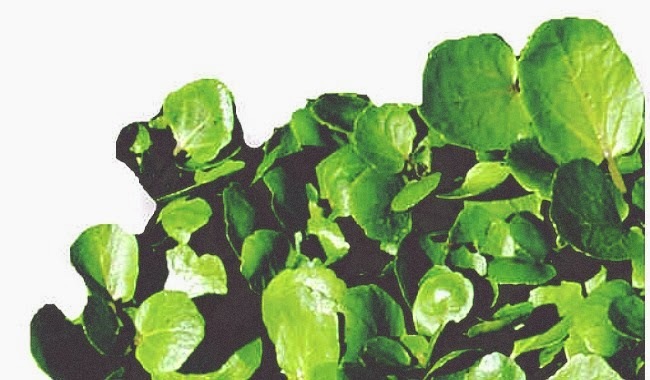 Considered an anti-aging superfood, watercress is full of eye protecting lutein and antioxidants. Watercress is an outstanding source of iodine—important for protection against radiation and maintaining a healthy thyroid gland. Moreover, watercress is rich in vitamins A, B, C, D, E and K along with calcium, phosphorus, potassium, iron, copper, silica and zinc. Forget ornamental houseplants—cultivate an indoor mini-garden instead. With these four top-notch superfoods, keeping healthy and within budget is a nutritious delight this winter.